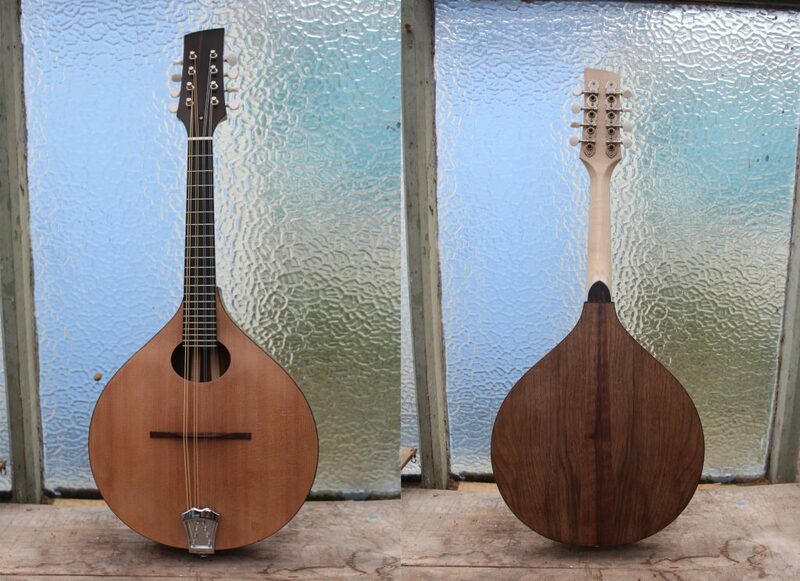 I’m really pleased to have finished this arch-top mandolin. With a carved spruce top, three piece English walnut back and cantilevered fingerboard, it represents the first arch-top made to the same size and specs as my flat-tops. 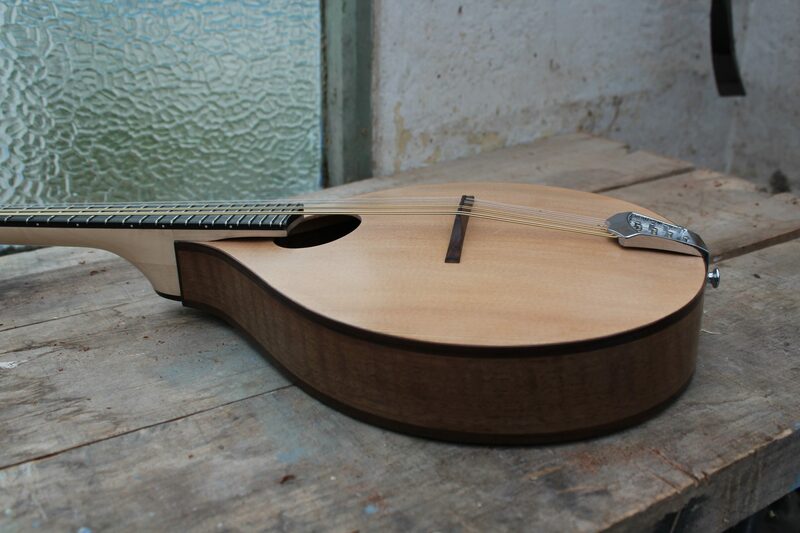 The flat back and carve top combination follows in the footsteps of some of my favourite British luthiers and the growing celtic mandolin tradition. It is the prettiest new mandolin photographed in the grubbiest corner of my workshop – there are grand plans to reconcile this very soon! 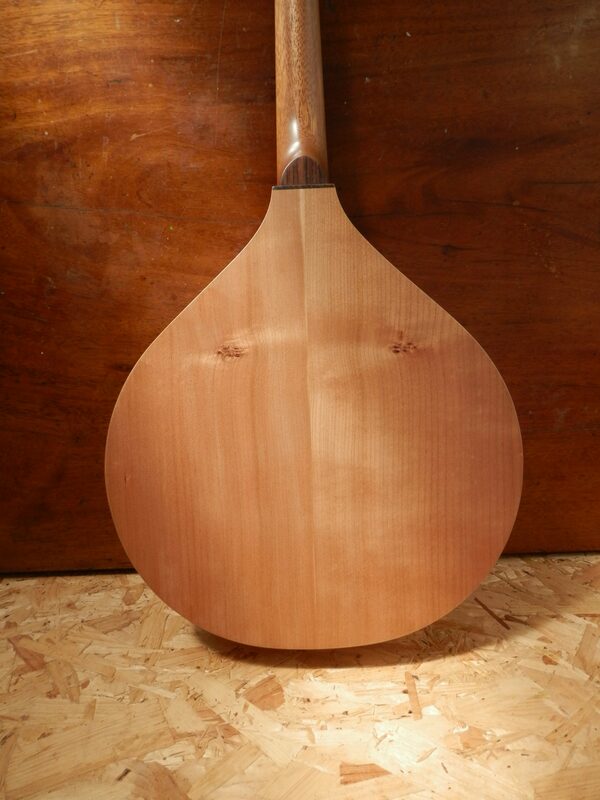 Cherry is one of my favourite woods to work with, particularly for choice of back and sides materials for mandolins. Whilst I firmly believe the design of the structure is foremost in creating any instruments voice, I like to think the choice of wood colours it. Cherry allows for nice crisp highs with a warmth you don’t get with a more traditional maple mandolin.